When we first learned that The Killers had beef with Panda Express, we were confused. What kind of “problems” could a popular rock band have with a fast-food chain? One that would cause The Killers to demand “free food for life” from Panda Express? And yet, their concerns were valid enough. And their feud has ended in the sweetest way possible: donations to charity! 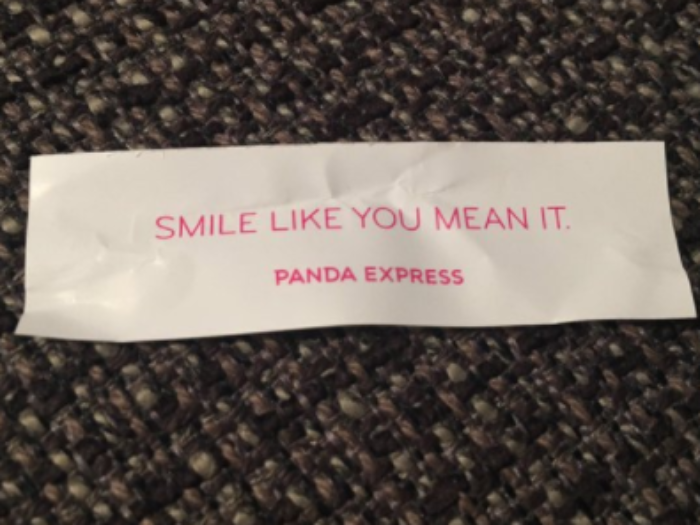 The band noticed that a popular song title and lyric from their album Hot Fuss, “Smile Like You Mean It,” had suddenly become a cookie fortune.
.@TheKillers We’ll do you one better and put our food where our tweets are 😀 Have a charity in mind that could use some #OrangeChickenLove? Look at that! A peaceful resolution. Everyone got some good PR, and some needy children got fed. Now if only more companies would donate to charity without being called out for potential plagiarism. Still, we’re happy that The Killers and Panda Express saw a need and filled it!